Liquidating bribery, corruption and misuse of public property has become a hot topic in the political discourse taking place in the country, particularly in the local government election campaign. But where are the culprits? The Government says they are in the Joint Opposition. According to the latter, however, the Government is a den of thieves. Similarly, within the Government the two principal partners – the SLFP and the UNP blame each other for harbouring corrupt members and condoning corruption. Though there are no corruption allegations against the JVP and the TNA, the Joint Opposition accuses them of collaborating with the Government and hence indirectly being responsible for it. Thus, every political party seems to be corrupt. On the other hand, no political party acknowledges that there are corrupt individuals in their parties or at least in their leaderships. They present an appearance of moral excellence. Those who are facing allegations of corruption are bold enough to challenge the accusers: “Prove, if you can”, they counter-charge. Incidentally none of them have filed any legal action against the accusers claiming compensation for defamation. However, the whole issue exploded in the face of the Government with the exposure of the Central Bank Bond issue revealing the silhouettes of culprits. The Government has been forced to act. In consequence, the COPE inquiries and the Presidential Commission of Inquiry were initiated, both of which confirmed a fraud. The report has been sent to the Attorney General as well as to the Bribery authorities. The Report of the Presidential Commission of Inquiry is now in the public domain with startling revelations. In a parallel development, the Commission investigating Allegations of Bribery and Corruption has completed 34 investigations and handed over its report to the Attorney-General for legal action. It is said that there are several politicians named as defendants. We have arrived at a critical juncture today. People are eagerly waiting for the Government to expeditiously bring the culprits to book. In fact, they demand so in unison. 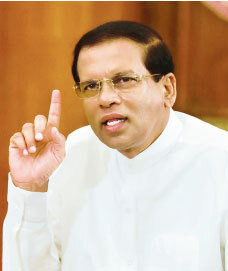 On numerous occasions since the report was handed over to him President Sirisena has declared war against corruption. He has vowed to liquidate corruption before he retires from office. 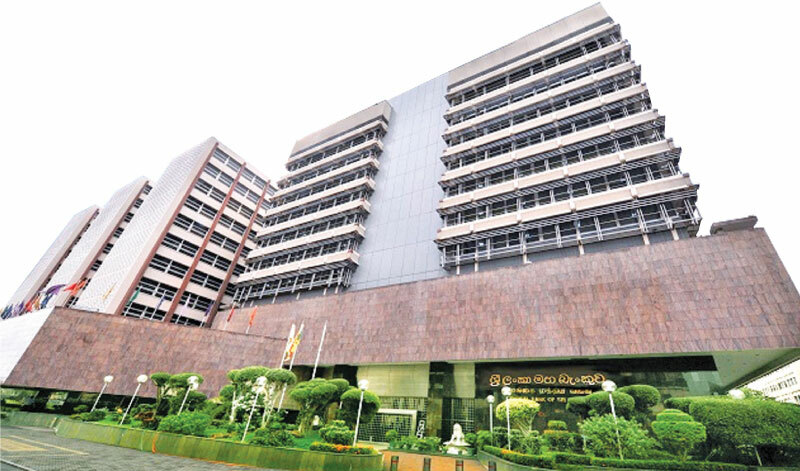 Prime Minister Wickremesinghe has also expressed similar sentiments. Good! But people await actions. However, the experience of the past three years does not give us confidence that words would be translated into actions. Forgive us Sirs, for our ignorance and skepticism. We cannot help it. The Presidential Commission has noted that similar frauds have taken place in the Central Bank during the period 2008 – 14 too. This shows that corruption and fraud has been a widespread and long standing problem in our society. It has been the experience of the man in the street even before these revelations. Corruption has spread both laterally and vertically. It is so widespread that it has almost become a way of life, an accepted norm in many spheres of activity. Life is tainted with corruption from birth to death, beginning with false residential address registrations of the new born to seek a better schooling for the child. Not only politicians but also high officials in the public service and state corporations also are guilty of corruption and fraud. Often both these categories work in tandem. There are certain government departments and ministries notorious for corruption and fraud. e.g., Customs, Police, Education and Justice. The private sector cannot be excluded. Often it is the origin or instigator of corruption. The cooperative sector is also not innocent. Is it possible to liquidate corruption and fraud by punishing the culprits in the Bond issue? It would be naïve to believe so. However, it would have a deterrent effect on would be offenders. Corruption and fraud arise not necessarily and inevitably from the misconduct of individuals. They arise from objective and subjective conditions in society. As mentioned earlier, the capitalist system based on the drive for profit engenders corruption. Added to it is the moral degeneration that has taken place with it. The prevalence of considerable corruption in almost all capitalist countries including the United States proves it practically. In developing countries such as Sri Lanka corruption is endemic since limited resources are to be shared among a relatively large population. As a result the poor and the marginalized communities and individuals get discriminated with wealth and poverty being concentrated at opposite poles of the social ladder. The inadequacy of the legal framework is another reason for the culprits to be at large. Added to it is the breakdown of the Rule of Law. Review and revision of existing laws, including election law as well as updating administrative procedures to be in line with modern standards also will contribute to preventing or reducing instances of corruption. The ultimate goal of a society with zero tolerance for corruption could emerge only with a social system based on socialist principles where common good will prevail over personal greed.